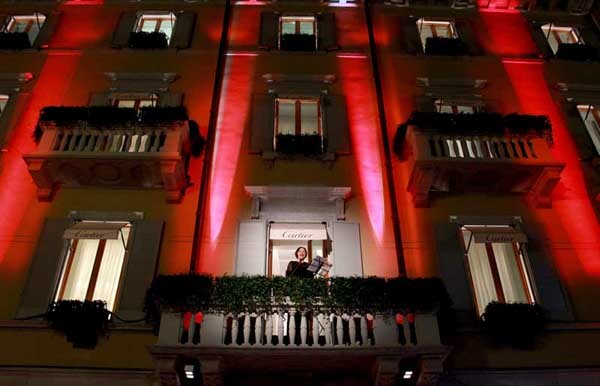 MILAN, Oct 8, 2012/ —Following major renovation work, Cartier reopened its Milan boutique in the historic building that has been its home for over 30 years at 16 Via Montenapoleone on October 4th with a gala reception on October 5th. The building, with its sober, refined architecture, dates from the early 19th century and today has four floors. It has been reinterpreted by Bruno Moinard, the architect and designer entrusted with the creation of all the Cartier boutiques in the world. This extensive project was inspired by the desire to turn the various rooms and the building as a whole into an elegant, pleasant location with a warm and welcoming atmosphere. The furnishings and interior decoration of the new boutique’s four floors of have strong cultural, historical and artistic associations connected to both the city’s cultural heritage and to Cartier traditions. Considered one of the Maison’s flagship boutiques along with Rue de la Paix in Paris, New Bond Street in London and Fifth Avenue in New York, the Cartier boutique in Milan is destined to remain a highly prestigious address.